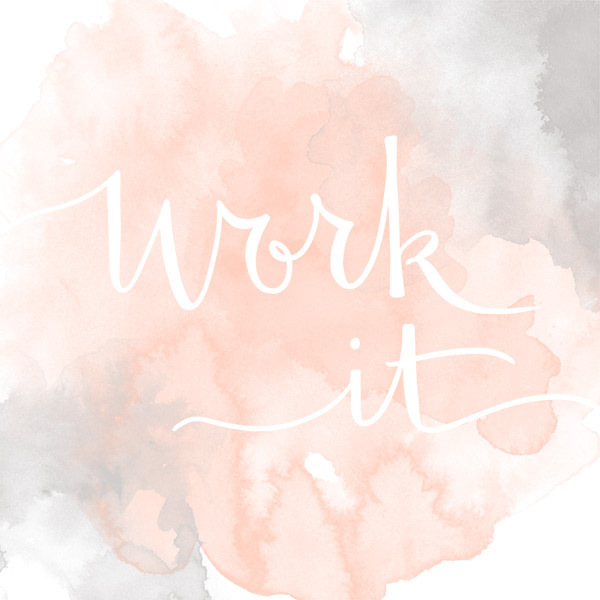 Work It | Evermore Paper Co. Here's a little Wednesday motivation for you! Also, I recently downloaded a bunch of new photoshop brushes (including the watercolor ones used above) and I am a little obsessed to say the least. And since I love sharing awesome finds, I went ahead and created a new Pinterest board where I will be posting all of my favorite resources and tools. You can follow along here.